Black Cowboy Parade On 14th St. near City Hall; downtown. Free. 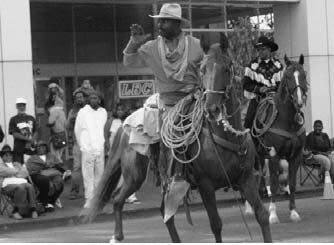 The only such event in the U.S., this parade commemorates the contributions made by African Americans and other minorities to building the American West. A festival follows in De Fremery Park.